"Stars form within large clouds of gas and dust in interstellar space," said lead researcher John Ilee from the University of Leeds in Britain. "When these clouds collapse under gravity, they begin to rotate faster, forming a disc around them. In low mass stars like our Sun, it is in these discs that planets can form. 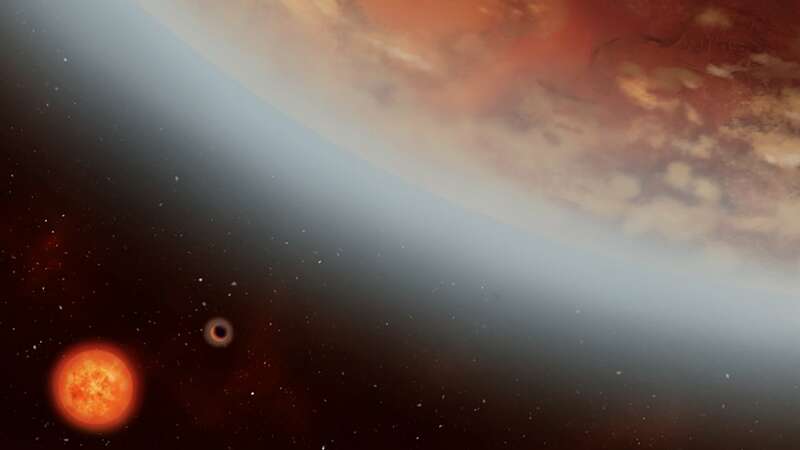 "In this case, the star and disc we have observed is so massive that, rather than witnessing a planet forming in the disc, we are seeing another star being born," Ilee added. "Many older massive stars are found with nearby companions," added Ilee. "But binary stars are often very equal in mass, and so likely formed together as siblings. Finding a young binary system with a mass ratio of 80:1 is very unusual, and suggests an entirely different formation process for both objects," Ilee said. The astronomers made this surprising discovery by using a new instrument situated high in the Chilean desert - the Atacama Large Millimetre/submillimetre Array (ALMA).